Bright pink with blue iridescence. 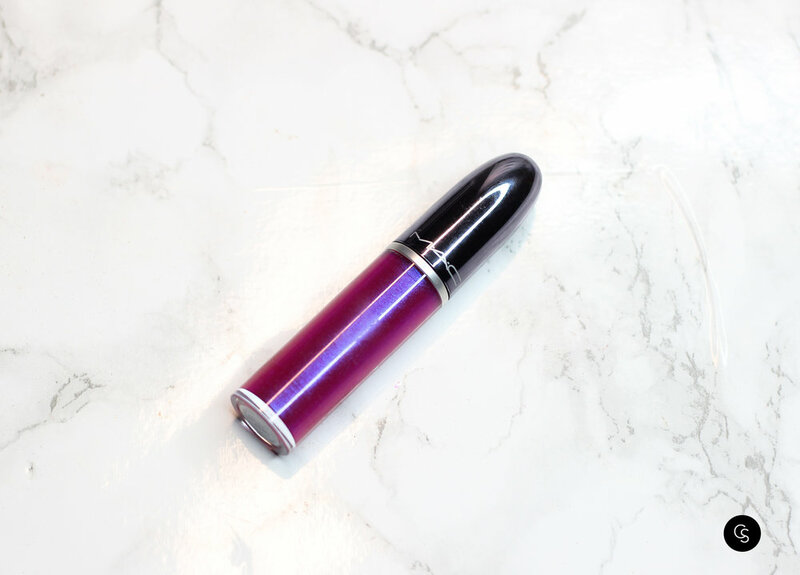 ; A mirage of megawatt colour comes alive on your lips with Grand Illusion Glossy Liquid Lipcolour. It’s magnetic, it’s hypnotic! 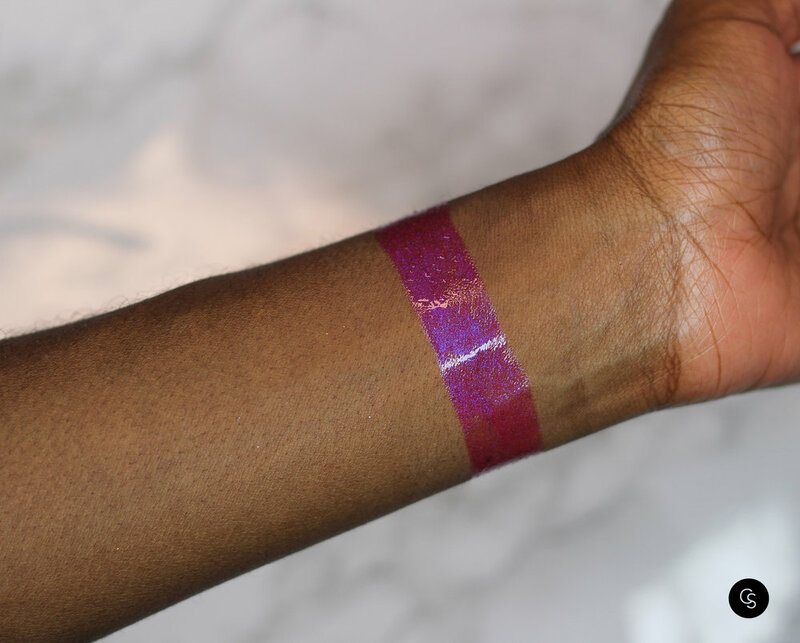 Swipe on futuristic sheen with this exclusive holographic lip colour packed with iridescent pearls, then be transfixed by the refreshing cooling sensation that makes lips feel instantly fuller. No special fx required! For a magical look so real, it’s surreal. 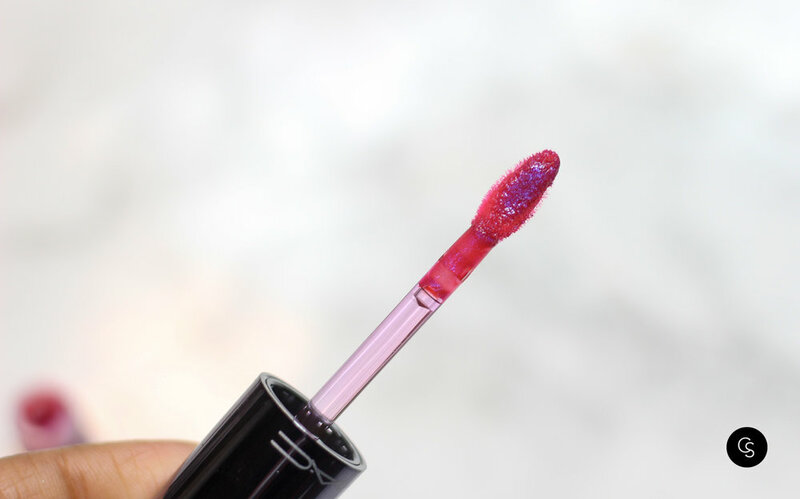 Pink Trip is a gorgeously unique gloss. In addition being super pigmented and plumping, it is also pretty long lasting for a gloss. Its blue iridescent flecks give this bright pink gloss an extra pop.